There is no doubt that the recent violent events against political officials are despicable. I have always stood on the right side of the law, opposing those who maliciously do harm to others; vandalize; terrorize; commit fraud; or any other criminal act. The problem, however, is that the most current detestable violent acts are being blamed on the Right without any shred of evidence. I believe that is totally unfair and completely prejudiced. There have been instances in the not too distant past where this same prejudice was displayed and proven false. Let’s begin with James Von Brunn, the Holocaust Museum shooter. He was the 88 year old man who killed a security guard and injured another on June 10, 2009. The air and blog waves were filled with how this man was a White Supremacist and a Right-wing terrorist. However, after an investigation, we found out he hated Bush, Cheney, the Iraq and Afghanistan wars, Jews, Blacks, Christians—especially Catholics, and Fox News; he didn’t think Hitler went far enough; he was a Holocaust denier and a 9/11 Truther. Hmm…none of those sound like Right-wing beliefs to me. But that didn’t stop people from blaming the Right FIRST and THEN getting the FACTS which proved the Right was NOT responsible. A few months later on September 12, 2009, Census Bureau employee, Bill Sparkman, was found hanged to death. CBS reported that he was found naked, gagged, and his arms and legs were bound with duct tape—all of which had NOT been confirmed by the authorities. Those types of allegations went through the MSM like a brushfire which led others to claim that Michelle Bachman and Glenn Beck were responsible for Sparkman’s death. Or take the Daily Kos’ author, the Liberal Kentuckian, who wrote, “This one act seems too likely to be the worst of mine, and all Liberal Kentuckians fears: Our state is consumed by Radical Right-Wing fear and propaganda, and we are moving to[sic] far to the right.” The Liberal Kentuckian also wrote, “I know that there is no factual evidence supporting the idea that this murder was something more than just another murder, but it has all the calling marks of being something much more.” He was right, of course, there was MORE. It was called “suicide to defraud an insurance company”, as a thorough FBI investigation later determined. But the defamation to the Right, Michelle Bachman and Glenn Beck had already been done and NOT retracted—and no apologizes were EVER issued. Then on February 18, 2010, Joseph Stack flew a private plane into an IRS building in Austin, Texas. Mr. Stack left a suicide note which railed against the IRS, GW Bush and the Catholic Church. However, it was again the Right, namely the Tea Party, who was blamed for this ghastly act of violence which killed him, one innocent IRS employee and injured thirteen others. The Daily Kos’ author mc joan was a little more, shall we say “conservative”, with his/her accusation, writing, “Reading larger political motives into this action would be preliminary, until more information emerges about whether he actually has been involved in any political movement like the teabaggers. But it should inject a bit of caution into the anti-government flame-throwers on the right.” Ya think “reading larger political motives” is preliminary before you have any, let's say FACTS!? How about EXTREMELY PREJUDICED? Stack was against ALL government, even Bush. To say he was on the Right would be an out and out lie. The man was a friggin’ Anarchist. ALL violence should be shunned. BOTH parties as well as all Americans need to call each perpetrator by his/her name— REPUGNANT. We need to stand by our values and convictions regardless of our political party—THAT is what good character is all about. 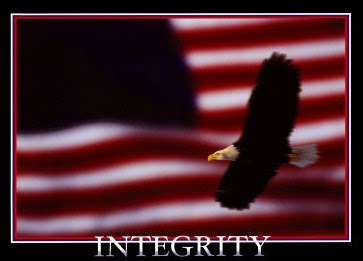 Values, morals, integrity, grit—those must precede any political affiliation and we MUST pursue and honor them. Just as we must revere and pursue FACTS. There is STILL such a thing in our country as “innocent until proven guilty” but so many have chosen expediency over truth. Power over justice. The foundation of our country is crumbling and it’s because far too many have chosen to forget the fundamentals. The violence, hate-filled vitriol and incivility needs to stop if we are ever going to succeed. We need to practice patience and we also need to remember some decorum when faced with these issues. I do believe it’s called the American Way. With the passage of the Health Care bill, Americans are angered, frightened and disenfranchised. They feel as if Congress is not attuned to the average American; they feel as if Congress has trampled on their rights; and they feel as if Congress renounced their oaths to uphold the Constitution. Americans fear for their future and the future of their children and grandchildren as the debt of our country has reached overwhelming levels and will probably extend to levels that will be impossible to maintain. All of these fears are understandable; the anger and hostility as well. It’s in the darkest sky that we see the brightest star. It is during our most difficult ordeals that we find courage to face our challenges. Without trials and hardships we would never know our grit, resolve, and convictions. It is when we are tested that we discover our TRUE selves and whether we can withstand the onslaught of perceived impasses. So, like the Phoenix, let us rise from the ashes. We must remain strong and not lose our resolve or our convictions, but most of all, let us not lose hope. With hope, we will not lose ourselves and we will not lose our country. This is still the United States of America. We are still Americans. So, like the Phoenix, let US rise from the ashes. Let us become more informed, more educated and more united than ever before. This is OUR country. Let us not retreat silently into the night. 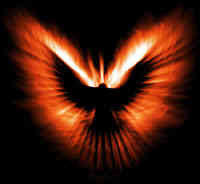 Like the Phoenix, let us glow brightly and may the flame blaze forever. Last night, Health Care passed in a 219-212 victory for the Democrats, but it did so without one Republican vote. This bill is now the law of the land which will affect every man, woman and child in the United States. While I do believe that eliminating pre-existing conditions is one positive aspect of this bill, there is very little else that I find complimentary. I haven’t finished reading the bill but so far I’ve read that the IRS will be expanded, mandates and taxes increased, Medicare cut while Medicaid increased and Americans will be forced to purchase insurance or pay fines. Only time will tell if this monstrous legislation will be good for America, let alone all the American people, but I’m leaning toward not. My suggestion is that the American people read the bill to become as informed as possible. Even with the passing of this bill, we can’t stop educating ourselves. Let’s remain optimistic. This is still a great Country and we must do everything we can to keep it that way. I am proud that so many Americans have taken up the task to learn about our history and taken part in it. Let’s not stop, just as history doesn’t cease. We are Americans and need to remain vigilant and informed. Bless us and America. With the Health Care vote on the horizon the political atmosphere is heated at best. The strong arm tactics, sweetheart deals, Hollywood antics, intimidation, deception and secrecy has only made the debate more intense. None of those strategies have met with much favorability with the American people, regardless of whether it’s all been done before, it’s the status quo, or it’s what has to be done to get the bill passed. I find the behavior of our 111th Congress shameful. The Health Care bill is an extremely important piece of legislation that will affect EVERY American and it should be taken seriously and treated with the utmost respect—along with the American people. Our Representatives have been elected as the voice of the American people. Whether they like the Health Care bill or not is irrelevant. Their job is to speak for their constituents. They have a duty to find out whether their constituents like or dislike this bill then go back to Congress and vote on the bill from the results they have accumulated from their respective districts. They are not supposed to vote on Legislation based on bribery, intimidation or deception. It is our duty, as constituents, to let our voices be heard. The only way we can do that is to call, write or email our respective Representatives. Here is a link for the House and one for the Senate. Look up your officials and tell him or her how you feel he or she should vote on the Health Care bill. THAT is YOUR duty as a United States Citizen as it’s your Representative’s duty to listen to YOU. We’ve heard about it on television and the radio, and now by mail I'VE been warned that in about one week from now, you will receive a 2010 Census form in the mail. No getting around it, I’ll have to answer ten questions that will give the government information that will help determine Congressional Representation and federal aid. While I’m not crazy about the census, I’m even less fond of the American Community Survey [more on that in an upcoming post] I’m certainly not advocating lying. As a matter of fact, I strongly suggest that EVERYONE tell the TRUTH. So, let’s take a look at each of the ten questions on the census, shall we? First, we have questions one and two, the later is redundant. #1. How many people were living or staying in this house, apartment, or mobile home on April 1, 2010? Were there any additional people staying here April 1, 2010 that you did not include in Question 1? Question number eight is a question that has me totally perplexed. Is Person 1 of Hispanic, Latino, or Spanish origin? We can have fun with question number nine while sending Congress a BIG message! What is Person 1’s race? That is definitely NOT a Congressional issue and we all know it. Race has nothing to do with representation in Congress. But it does have something to do with how much money they want to pass out. And it does state that on the questionnaire, Asked since 1790. Race is key in implementing many federal laws and is needed to monitor compliance with the Voting Rights Act and the Civil Rights Act. State governments use the data to determine congressional, state and local voting districts. Race data are also used to assess fairness of employment practices, to monitor racial disparities in characteristics such as health and education and to plan and obtain funds for public services. There you have it. However, I believe we are all Americans since America is the melting pot for ALL races and ethnicities. My answer will be: AMERICAN, just as Donald at Conservative Firestorm suggested. And as I mentioned at the beginning of my post—lying is not only WRONG, it’s also unconstitutional, so answering "American" is not telling a falsehood, because we ARE Americans. I told a friend, who said he would “fib”, that if we don’t take a stand, as Americans, and send a strong message to Congress, these types of questions will NEVER go away—they will only get worse. Don’t fib, lie or distort the truth—whichever way you choose to look at it—write in AMERICAN and spread the word to your friends and family members to do the same. Let’s send a message to Congress! All in all, out of the 10 questions on this census, question number one is really the only question that is relevant! But isn’t 10% about what we have come to expect from our government? And at cost of $14 billion dollars of OUR money, that is totally unacceptable. I was given an incredible compliment this past week by fellow blogger Les at Rational Nation USA. He asked me to contribute as an author at his blog where he displays independent conservative insight and wishes to expand on these values and opinions by adding “unique and independent thinking skills” and believes I fit that description. I am truly humbled that Les feels I’m an independent thinker as well as a creative writer and he also complimented me highly when he told me he was impressed by my attempt to retain my conservative values while engaging those with a Liberal ideology. He said he believed this to be true bipartisanship and something he would like to achieve at Rational Nation USA. Les’s blog has undergone some cosmetic changes as well as some user friendliness via Wes Messamore, who does the techno stuff professionally. But Les’s vision doesn’t stop there. He wishes to broaden the views at Rational Nation USA so that they encompass a wide range of rational political ideas and opinions because he believes, as I do, that this type of discussion is constructive. I would like to say that I admire and respect Les and I’m proud and honored at his request. It is my hope that, with my assistance, Rational Nation USA will rise to new heights. I’m looking forward to this new adventure, so wish me, and Les, good luck!